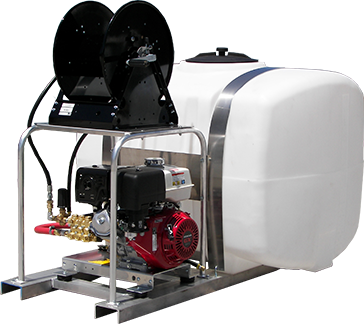 Pro-Skid units can be combined with various cold water pump/engine units to achieve a “Totally Self Contained” 100 or 200 gallon tank feed system. 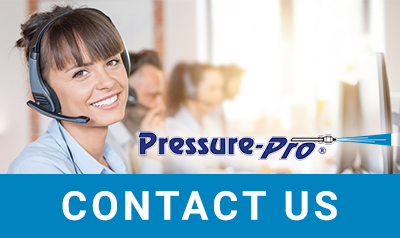 Available pressures of 2400 PSI to 4000 PSI and flow rates up to 10 GPM in belt, gear, and direct drive configurations. 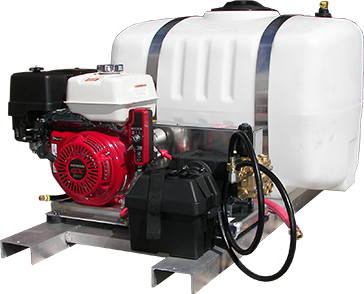 Add the tank/skid model with desired equipment options listed to design a custom Honda powered unit built to your specifications. All skids are constructed of aircraft grade aluminum which are chemical resistant and rustproof. All units feature adjustable pressure unloader valve. These skid units mount quickly and securely into truck beds, trailers or other vehicles. Call factory for more configurations. GX630 Model comes with remote 6 gallon poly fuel tank- Non Carb Evaporative Compliant-Not for sale to California-See Options for California compliant upgrade.